Mandelbrot Table with Heldon Base — De JONG & Co.
An eloquent and substantial platform, the Mandelbrot tabletop sits on top of the minimal Heldon table base. It features a two and a quarter inch thick top, sure to give solid and stable support whether scaled to any shape or size. 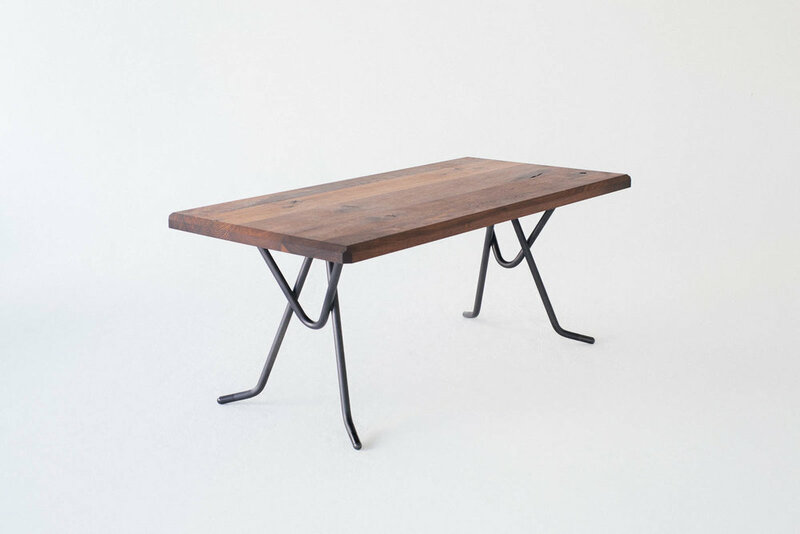 With signature beveled edges it is a simple yet refined dining centerpiece which easily masquerades as a work, entryway or office table with the distinction of a contemporary heirloom. 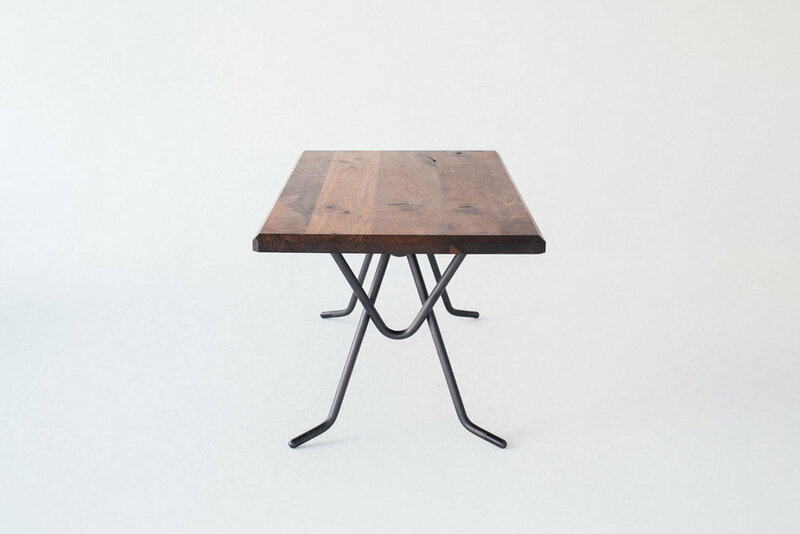 The Mandelbrot table is a benchmark of the quality inherent in the work of De JONG & Co..